How long the Tinea Versicolor treatment will take for any ordinary skin type? 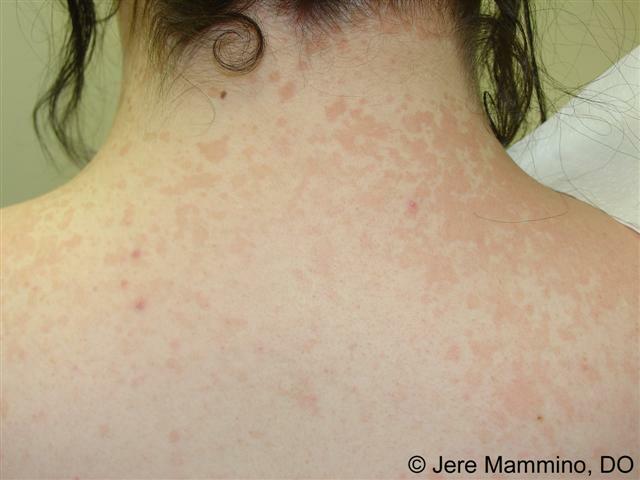 Tinea versicolor is a typical skin disorder characterized by skin rashes caused by some types of fungal infections. 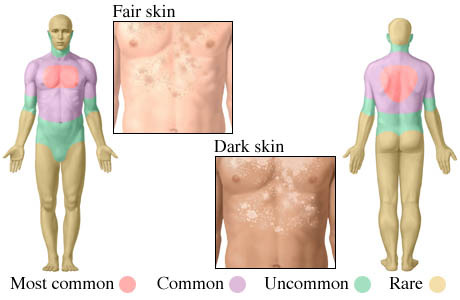 People with certain skin types and some environmental effects are particularly vulnerable to the disease. Though in majority of cases the disease can be conclusively treated simply by applying certain home remedies or certain external medications on the affected areas of the skin, some recurring and severe form of infection can take more time than usual to be treated conclusively. Depending on the condition of the skin affected by the disease it may take weeks or even months in some cases. Let us discuss here a few aspects in relation to the cure and recovery of the skin condition affected by the disorder. It is typically a disorder that is responsible for discoloration of the skin. The fungal infection caused in this disease leaves pale patches on the skin, most notably on the trunk. The discolored skin irrespective of the cure may take some time to return to their usual condition. How long will it take for normal skin depends on the severity of the disorder and whether the disorder is recurring frequently? In some people the disease returns as soon as remedies are stopped and they require undergoing treatment again. This is the reason why after extreme care is as important as the curing itself. People who sweat a lot and suffer from certain medical conditions like seborrheic dermatitis, dandruff and scaly-itchy skin condition are more vulnerable to the disease and vulnerability increases many fold in wet, humid and hot weather condition. This is why the disorder has a higher prevalence rate in tropical weather condition. Is infection may also return? The fungal infection in this disease is an outcome of certain skin conditions and environmental effects and naturally in the post treatment period if you do not take care of these factors it may return again. The infection tends to affect people who sweat a lot and who have skin problems like dandruff, dry, scaly and itchy skin conditions and all these factors become more vulnerable in typical hot and humid climatic condition. So, in the post cure period people affected with the disorder should take extra care of their skin so that the infection may not return and affect the skin. While taking extra care of the skin in the post treatment period is very important, people just got rid of tinea versicolor often seem confused as for deciding on the length of skin care they should follow. Avoiding sweating condition and staying in dry and cool temperature is the first important thing to follow. People with dandruff and scaly, flaky or itchy skin condition should take extreme care for these skin problems even after getting rid of disease. Regularly applying natural home remedies like Aloe Vera or applying baking soda in bath can help you stay away from the infecting yeasts. Did you know that Hypotension kills faster than Hypertension?